Shift work — where are we? Managing the health of shift workers can be challenging, not least because of the apparently contradictory research surrounding the subject. In 2007, night shift work was authoritatively named as a probable cause of cancer due to the disruption of the body clock involved. However, a study in 2016 by Oxford University seemed to directly contradict this, while further British research in 2018 concluded that some cancer risks associated with shift work may even be “zero”. Vicky Powell highlights some of the latest, and best, practical advice for managing the health of shift workers. More than a decade ago, in 2007, the International Agency for Research on Cancer (IARC), the cancer arm of the World Health Organization, made headlines around the world when it classified shift work as “probably” or “possibly” carcinogenic. The classification change was made following evidence from a panel of experts, published in the journal The Lancet Oncology, and linked to the disruption of the human circadian system or body clock. The study referred to epidemiological studies which found that long-term nightworkers, such as nurses and flight attendants, had a higher risk of breast cancer than women who do not work at night. The study was said to be consistent with research on animals which demonstrated that constant light, dim light at night, or simulated chronic jet lag could substantially increase tumour development. Other experimental studies had shown that reducing melatonin levels at night increased the incidence or growth of tumours. In 2009, breast cancer and night shifts again hit the headlines with the Danish government announcing that it would compensate women who had spent long periods working nights, and who went on to develop breast cancer. Then in 2012, fresh research from Denmark, based on women who had worked in the country's military, and published in the journal Occupational and Environmental Medicine, concluded that night shift work was associated with a 40% increased risk of breast cancer (although critics pointed out certain statistical weaknesses with the study). In 2016 the groundswell of evidence linking cancer to shift work was quite dramatically interrupted by a major study published in the Journal of the National Cancer Institute and funded by the Health and Safety Executive, Cancer Research UK and the UK Medical Research Council, which concluded that, contrary to the earlier evidence, working night shifts has little or no effect on a woman's breast cancer risk. The research was on a large scale, with researchers following 1.4 million women in 10 studies, examining whether night shift work increased women's breast cancer risk. They found that the incidence of breast cancer was essentially the same whether someone did no night shift work at all or did night shift work for several decades. The study was highlighted as particularly important since at the time of the 2007 IARC classification there had been limited evidence about breast cancer risk in humans so the classification had mainly been based on a combination of animal and lab studies. What about smoking, alcohol, age, diet and exercise? Most researchers will agree that shift work involves complex exposure patterns that make it difficult to attribute risk to specific factors. Nevertheless, despite these challenges, it is important that scientists continue to examine all the risk factors associated with cancer — such as age, alcohol consumption, levels of exercise, diet and obesity, and smoking — and how these may relate to shift work. These personal risk factors cannot, and should not, be overlooked in the debate on cancer and shift work. To illustrate the importance of the point, epidemiologists estimate that a smoker who uses a pack of cigarettes a day for 20 years increases the risk of lung cancer by 1000% or more — effectively a 10-fold increase in the risk faced. Similarly, heavy drinking is also a major factor in cancer related risks. For instance, men who consume three or more alcoholic drinks a day are three to four times more likely to develop cancer of the oesophagus and liver cancer. Several studies have shown also that shift workers are more likely to be obese than other workers and, for example, obesity is a risk factor for postmenopausal breast cancer as well as being associated with poorer outcomes for the disease. There are still many questions about the way these risk factors relate to shift work. In 2018, researchers at Washington State University in collaboration with the University of Surrey published a new study noting how night shift work schedules can disrupt the body’s metabolism in various ways, increasing the risk of becoming obese and developing diabetes and other metabolic disorders, which ultimately then raises the risk of cancer, as well as heart disease and strokes. It is not yet known whether the shifted metabolic rhythms are driven by the shift workers’ altered sleep schedules, the changed timing of their food intake, or both. In the future, this raises exciting prospects for trying to find treatments to resynchronise shift workers’ brain and body clocks to prevent negative long-term health consequences. Fortunately, occupational health experts have stepped in with some practical advice to make sense of the contradictory and somewhat confusing research findings relating to shift work. In 2018, the Institution of Occupational Safety and Health (IOSH) published a new review on shift work and cancer, undertaken by the Institute of Occupational Medicine, which concluded in relation to breast cancer that “the magnitude of any risk from working night shifts is most probably less than was originally thought, and may even be zero”. On the subject of prostate and ovarian cancers, the research concluded the risks were “inconclusive”. The review went on to point out that the main potential mechanism for cancer being associated with night work is the suppression of melatonin production due to exposure to light at night. However, other direct and indirect mechanisms may play a part including the difficulty of night workers maintaining a healthy diet, which may result in obesity and this, the researchers said, may be the ultimate cause of the observed breast cancer risk noted in previous research. In terms of practical advice, the review urges employers to take forward the following initiatives into the workplace. Develop a workplace policy for night work that informs workers about the potential cancer risks and sets out prudent strategies to minimise the impact of shift working on health. Design shift patterns around a fast forward rotating system that helps prevent circadian disruption and ensure that the number of consecutive night shifts worked are minimised. Instigate health promotion initiatives among night shift workers to improve their diet and help them maintain a healthy body mass. This could include campaigns to encourage employees to give up smoking, lose weight, drink less alcohol and exercise more. Provide advice on strategies to improve sleep quality. Encourage use of dark glasses on the way home after a shift (weather and light levels permitting) to ensure melatonin levels are not reduced. In addition, promote the use of blackout blinds in bedrooms to try to improve daytime sleep quality. Facilitate night shift workers attending appropriate health screening appointments. 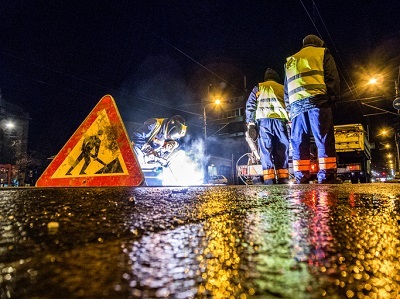 According to analysis by the TUC, the number of people regularly working nights has shot up by 260,000 in the past five years — a 9% increase — meaning 12% of all workers in the UK now work in the wee hours, constituting a late-night workforce of around 3.2 million people. As the 24-hour society continues to grow, one can expect these numbers to increase further still. Therefore, to seriously suggest we have heard the final word on shift work is facetious — and this can only be for the best, given that better science and understanding around the risk management of shift work will ultimately be good for workers and good for employers too.